The idea for a toy and play museum first emerged in 1984, when the children’s charity Children’s Day Foundation launched a toy collection to form the basis for the new toy museum. The Foundation wanted to promote children’s culture by setting up the Linnanmäki amusement park as a place for the whole family to enjoy, bringing different generations together. The Linnanmäki Toy and Play Museum was opened in April 1996. 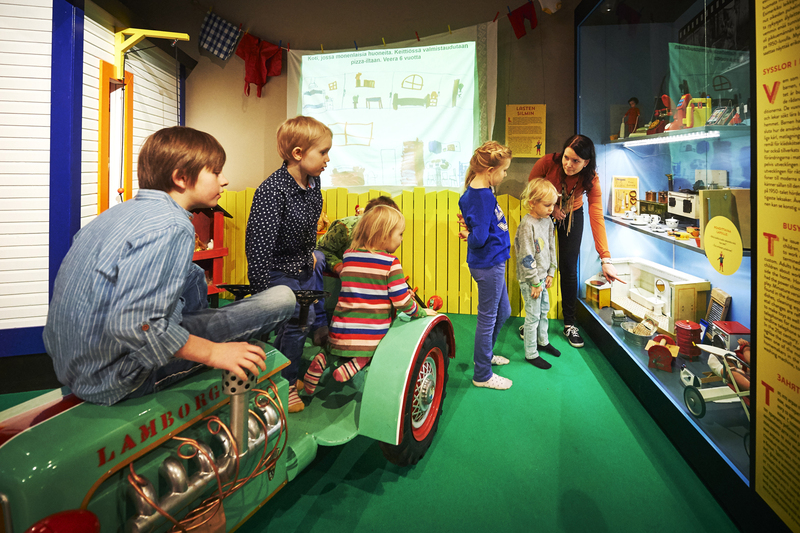 In 2006, the toy museum moved into the WeeGee Exhibition Centre in Tapiola, Espoo, where the museum was run by the Children’s Day Foundation. In 2010, the association of friends of the Hevosenkenkä children’s theatre took the museum under its wings. Theatre Hevosenkenkä is located in Mankkaa, about four kilometres from the WeeGee Exhibition Centre. The museum and theatre now form a unique partnership both in Finland and on a worldwide scale. The operational concept of Hevosenkenkä is to provide pervasive experiences for children and adults, cause insights and experiences, encourage creativity and cultivate children’s culture. The vision of Hevosenkenkä is to be known for producing culture of quality and diversity for all children and families. Hevosenkenkä has strong bonds with Espoo, but operates also widely in Finland and internationally. The values that direct all activity at Hevosenkenkä are child orientation, tolerance, high quality, creative bravery, warmth and cordiality combined with joy and humor.